This is the opening of the beautiful classic poem, Romance Sonambulo by Federico García Lorca. Albeit it is as tragic and strikingly similar to Romeo and Juliet, I do love the way the opening words roll off the tongue, in English and in Spanish. You can hear this beautiful poem in song on You Tube. I am mentioning this poem as it is my inspiration for the Cas-ual Friday Challenge. A monochromatic palette with three of a color and brown? Clean and simple? Even with my hectic schedule I can certainly manage that! (I do happen to love green and brown together). 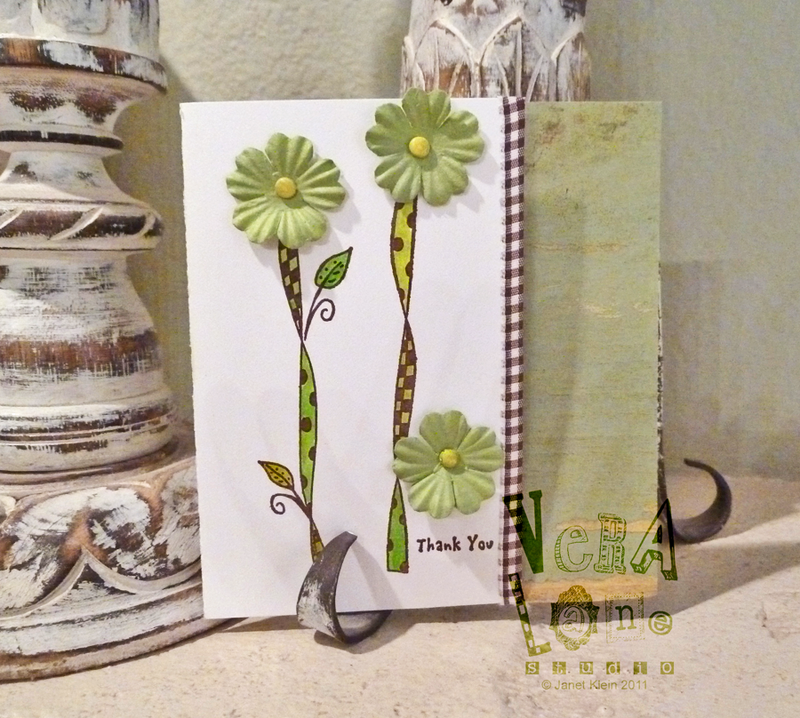 I created this simple "thank you" card so the back extends out to show a compliment scrapbook paper. The edge is fihished with a folded ribbon. Stamp Stampotique ribbon border # 2. and ribbon border #3 in coffee colored ink…a little color with Coptic markers and Prisma colors , brad on a few paper flowers and viola! Clean, fast, and simple! Stampotique's Designer challenge by team member Kaz calls for a color challenge using black and white and a hint of color. This package tag perhaps has a little more than a hint but I thought I’d upload it anyway as it is fast and easy to put together. Brush Pearlescent green and yellow chalks through a small sheet of sequin waste. Stamp Cooper and Skullboy with black dye ink. 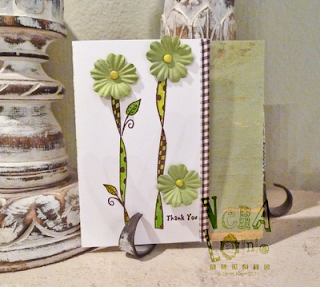 Stamp “Cubes in a row” with VersaColor sage – heat set. 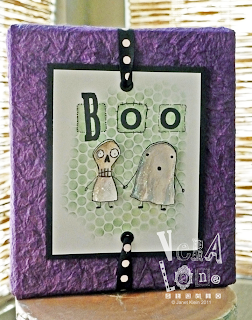 Stamp “Boo” over blocks (both Alphabets by Stampotique). Use a fine point permanent ink pen to embellish cubes. Re-stamp Skullboy and Cooper on additional white cardstock. Carefully cut around bodies. Add shadows with watercolor or markers. Add clear glitter. Crop and mount on black card stock. Add grommets and ribbon. Who can resist a sweet little blank book? I can't. My little book obsession dates back to early childhood. I loved to create little books out of scraps. 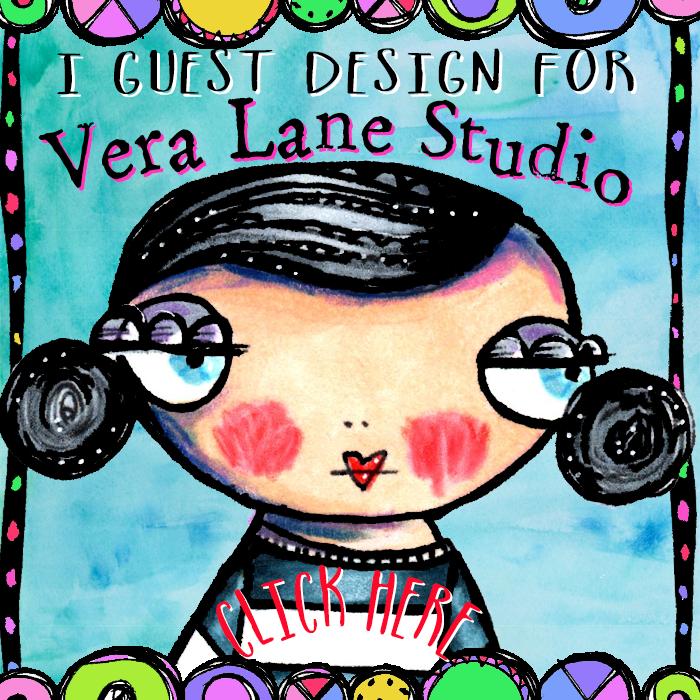 While my "itsy bitsies" (as my mom so lovingly called my creations) embedded themselves into the bronze shag carpeting, I continued to snip away on my bed as a makeshift studio. The pamphlet stitch is the easiest of stitch bindings. In its basic form, it is a 3-hole stitch, but can be made into a five or seven-hole stitch for taller books. I make these little pocket pamphlet books for gifts or to stuff in my own purse. Colored wax linen thread is terrific to stitch with but you can use embroidery floss, dental floss, thin ribbon or twine. This measure should be about 12”- 14”. You can punch holes with a Japanese screw punch, an awl, or a small hole punch. If using a small hole punch you have to be a little creative and punch the pages while folded at the spine to be able to reach. Using an 1/8” hole makes it easy to stitch without a needle! 1. For the text pages I cut and stack 8 ½” x 11” text weight paper in quarters. The text page measures 5 ½” w x 4 ¼”. Fold and crease with a bone folder or a (used) gift card to get a sharp crease. This is a folio. Stack about six. 2. The cover paper is fashioned from a piece of cardstock or weighty scrapbook paper. My measurement is 5 ¾” x 4 ½”. I like my height of the book flush with the pages, the extra ¼” to the width allows for the text block. Crease with bone folder. 3. Align text pages in cover. On the spine, measure and punch through all layers a center hole, and a hole on either end about 3/4” in. 4. Follow the diagram above. Begin pulling the thread to the inside from the outside center hole – leave a tail. Go to either hole and exit to the outside again – now skip the center hole and enter in the remaining hole. Exit through the center. The two ends should be on either side of the center long stitch. The process looks like a pretzel formation. 5. Adjust the tails, making one short and one that will be long enough to wrap around to the front of the book. Double knot and snip. 6. Now for the fun part. Add a closure for the front so the little book can have a wrap and close. You can use a decorative brad or a circular disk attached with a grommet. 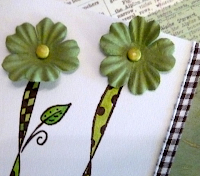 Add a little embellishment to the end of the string and bring it around the front of the book to close. There are lots of possibilities with this little book. The beginning of the school year cold is one week in. 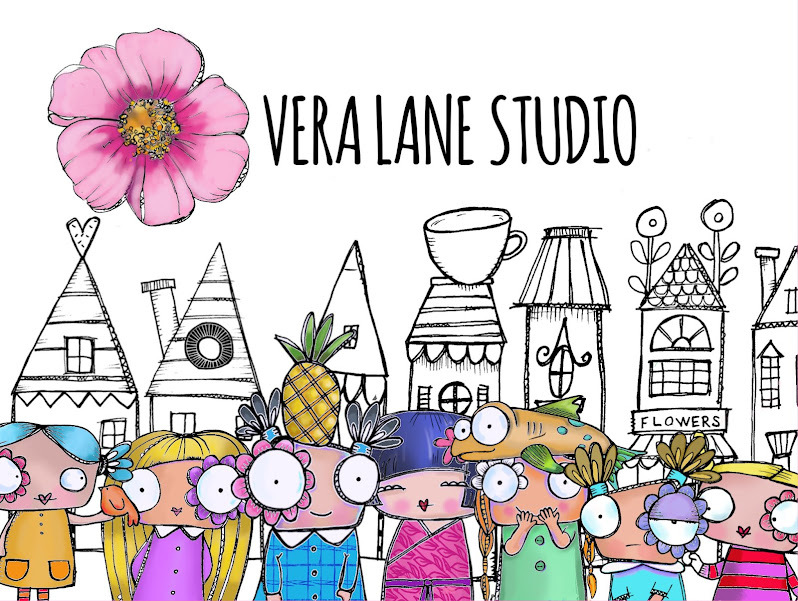 It was one of those sleepless night mornings where I rolled into my studio after feeding the doodles. Humphrey ran away with a roll of ribbon, which knocked over an art journal. I came across this tiny watercolor experiment after getting my Pentel Aquash™ Water Brush a while back. If you don't have one it is a wonderful little gift to yourself that you will treasure. The little landscape needed a chicken. My Stampotique cube chicks had the perfect one. 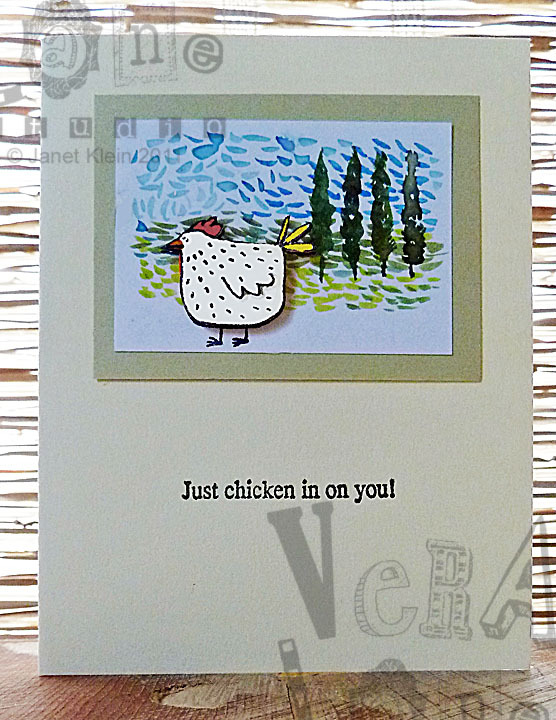 For copy I stamped Just Chicken in on You, also from Stampotique. Simple, fast, easy. The chicken is raised with a little sticky foam. The Stampotique Tykes are Here! 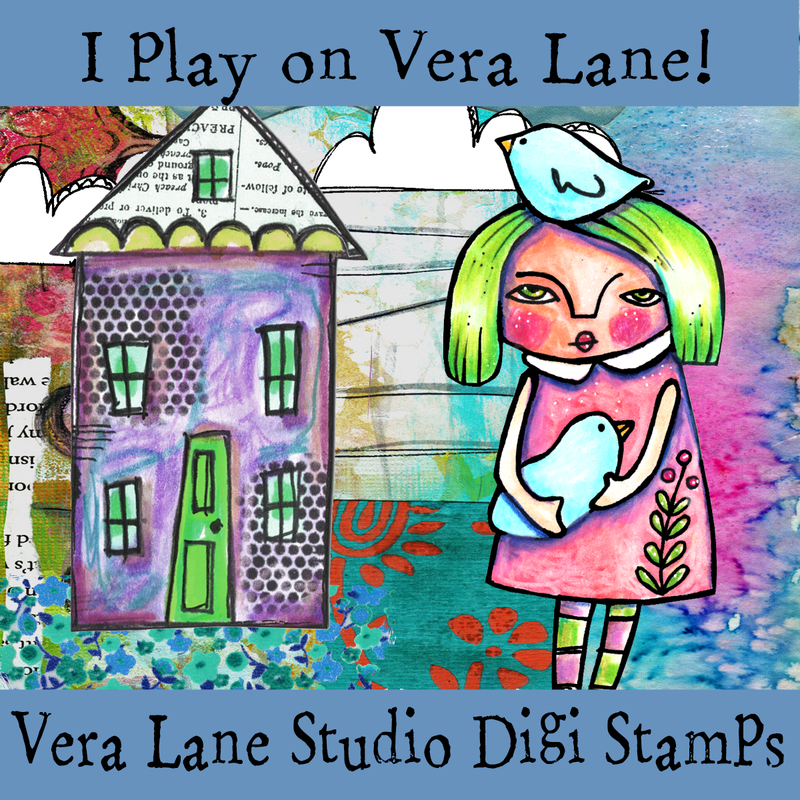 I am pleased to announce that the Stampotique Tykes have arrived! I had so much fun doodling a line of kids -- many of them remind me of my students. 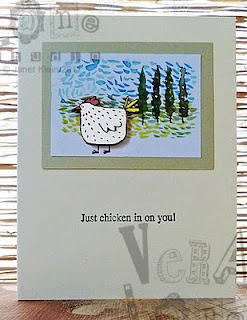 Stampotique also has new amazing images from their other artsists as well. Check it out!